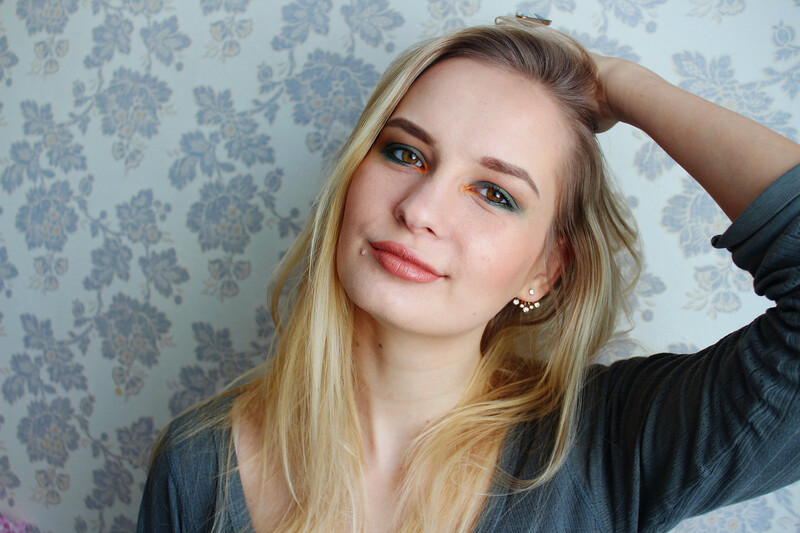 Green is my all time favorite colour, but as I have noticed, I almost never use it in my makeup routine. 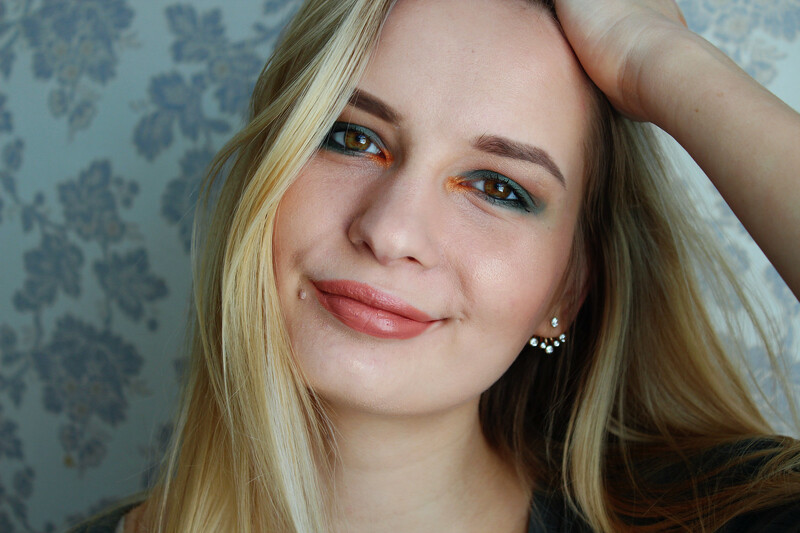 There are two blog posts (here and here) in which you can see me wearing a green eye shadow.This time I decided to risk a bit and used the green eye shadow as a base and orange colour as an accent. I believe that this is an unusual, but at the same time interesting combination that will certainly catch attention. Would I wear this look in my daily life? Probably not, because I work in insurance field and I don’t think that this bold eye makeup look would fit in the corporate world. I would create a makeup look like this for special occasions, parties or events in which you can express yourself freely and don’t have to follow a strict dress code. Zaļā viennozīmīgi ir mana mīļākā krāsa, bet esmu piefiksējusi, ka grimā to izmantoju ļoti reti. Blogā esmu divas reizes publicējusi grima tēlus (šeit un šeit), kuros izmantoju zaļos toņus.. Šoreiz nolēmu nedaudz riskēt un zaļajām acu ēnām pievienoju klāt oranžo akcentu. Manuprāt, kombinācija ir neierasta, bet tajā pat laikā arī interesanta, kas liks atskatīties. Vai šādu grimu es izmantotu ikdienā? Visticamāk, ka nē, jo strādāju apdrošināšanas nozarē, kur, manuprāt, tik izteiksmīgs grims varētu būt pārāk uzkrītošs. Šādu grimu es izmantotu ballītēm vai kādiem pasākumiem, kuros Tev nav sevi jāierobežo vai jāievēro noteikts dresskods. I love this look! I always enjoy seeing your makeup looks, you're so good at creating new looks! Thank you! It was so much fun playing with this colour! 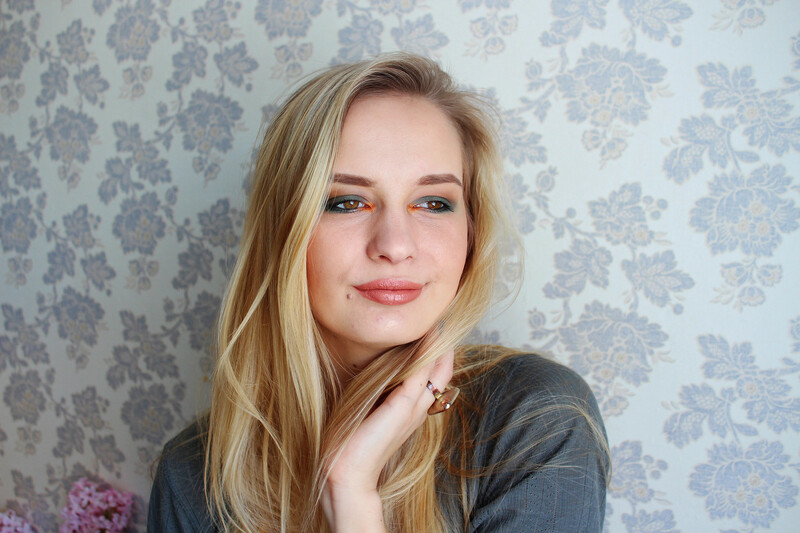 I never take risks regarding eyeshadows, sometimes you just have to be adventurous! This makeup matches you so well! Super beautiful. I am terrible at eye makeup, wish I was as good as you. Madara, this colour looks absolutely perfect on you! 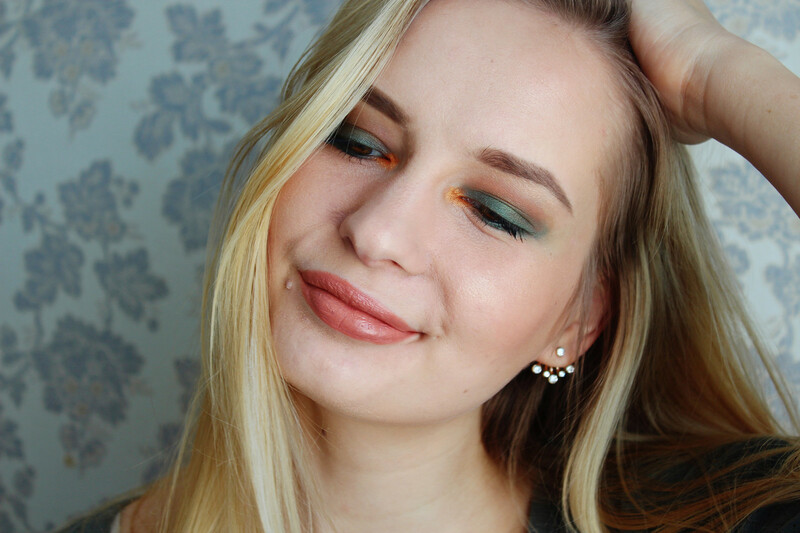 I would love to use it on myself as well, but I really don't think it'll suit my complexion..
Orange and green look so amazing together! I've always loved your choice! Thank you my dear! I was intrigued to see the end result because of the unusual combination. I agree this is an out of the box look, but every color suits you, and this is no exception, and great look for a weekend party!